Remind clients that about outstanding proposals that are waiting to be signed. Whilst some of your clients may sign proposals you send them straight away, there are likely others that sometimes need a bit more prompting! 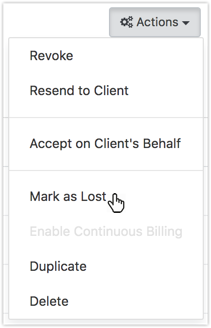 To save you some time following up with clients who have proposals that are waiting to be accepted, Practice Ignition can automatically send reminder emails. How do I enable proposal reminders? Visit General Settings to enable to proposal reminders. In the Proposal Reminders section, you can choose how long to wait before the first reminder is sent, and then how many reminder emails in total to send. Once you're happy with the settings, click "Update Settings" in the top right to save them. How are proposals that I've already sent to clients affected? When you enable proposal reminders, you may have existing proposals that you've sent to clients and that are waiting to be accepted. Reminders will be sent for those proposals, but only after the number of days you've chosen has passed. In other words, reminders won't be sent immediately for outstanding proposals. We'll wait the number of days you specified before the first reminder is sent. And of course, should the client accept the proposal before then, no reminders at all will be sent. What's in the reminder email that the client receives? The content of the reminder email is the same as email that clients receive when they're sent a new proposal. The content of this email can be changed by editing the "Advise Client of New Proposal" template in your Library. How can I see what's been sent to my client? The proposal history tab shows each reminder that's been sent to the client. How do I stop reminders being sent? For any proposal that you don't expect to be signed, we recommend moving it to the "Lost" state. You can do this by clicking "Mark as Lost" in the proposal "Actions" menu. This helps keep your list of awaiting acceptance proposals up to date, and will stop any further reminders being sent. What if I'd like to send a more personal reminder to my client instead? In this case, we recommend using proposal comments to send a personal reminder message to your client. Can reminders be used when I send a proposal to a Xero Practice Manager group? No, currently proposal reminders are not supported when you send multiple proposals in group mode.